You are here: Home / Good Wine: Cheap or Expensive? Good Wine: Cheap or Expensive? When we are charged a higher price for a good, we normally expect a better quality. Normally that is the case. At the first glance, wine is no exemption: we like expensive wines better than cheap ones – as long as we know their prices. Back in 2007, the team of researchers at the California Institute of Technology and the Stanford University had 20 volunteers tasted presumably five different Cabernet Sauvignons priced from $5 to $90 per bottle. Actually, there were trying only three wines, from $5 to $35, and even those three were given them randomly, totally unrelated to what they were told by researchers. Volunteers not only reported that more “expensive” wine are better. Functional magnetic resonance imaging found that their brains responded to “different” wines differently: they actually liked “expensive” wines more than “cheap” ones. They did not lie. Like most of us, they just were unable to resist a price tag impact. These finding were supported by another, much more large-scale, study published in the Journal of Wine Economics in 2008. 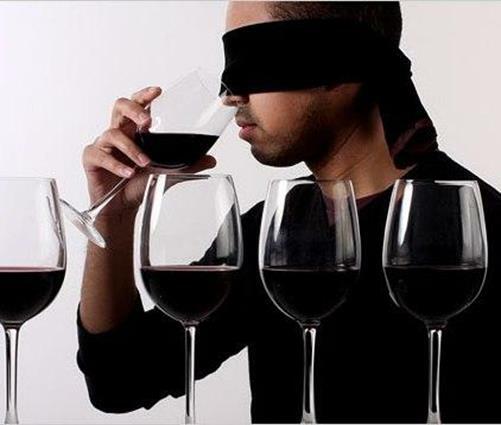 The authors analyzed 6,175 observations made by 506 volunteers, aged from 21 to 88, during 17 blind wine tastings organized in the US in 2007 – 2008. Wines tested included a broad variety of types (red, white, sparkling, etc.) with real retail prices between $1.65 and $150 per bottle. Tasters were not informed about the prices and brands, so their taste buds and smell sensors were free from any marketing tricks. The amazing fact was that people, unaware of price and brand, liked cheaper wines better that expensive. As researchers emphasized, the negative correlation between enjoyment and price did not result from a bunch of outliers: it was a general trend for majority of participants. Safely, we can apply these findings to ourselves, unless we are wine experts. Speaking of which. Experts’ unique skills seem less than impressive when examined by the blind testing. A study of 13 US wine competitions in 2003 revealed the embarrassing lack of consistency among those 13 contests about wine quality. For example, the wine receiving a gold medal in one competition had very little chances to receive any award at all at another; and the likelihood of receiving a gold medal could be predicted by tossing coin with the same level of reliability. The outcome? That is easy. Feel free to buy inexpensive wine and without feeling guilty or cheap. Not only will you save some money, but chances you will derive more enjoyment from wine.